NIF issues grants to Israeli NGOs lobbying against government decision to return illegal infiltrators to their countries of origin. The New Israel Fund (NIF) has admitted it is acting against the Israeli government's decision to return illegal infiltrators to their countries of origin or to transfer them to other countries on the basis of prior coordination with them. In recent weeks, Israel has begun offering tens of thousands of African infiltrators the choice of leaving over the next three months or being arrested. 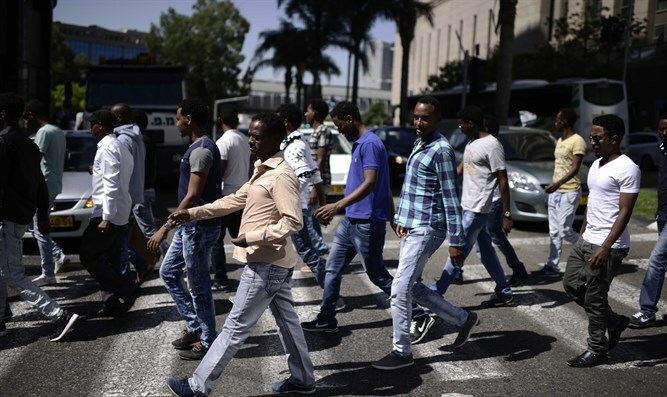 Under the plan, some 40,000 infiltrators who entered Israel illegally, mainly Eritreans and Sudanese, will have until the end of March to leave. Each will receive a plane ticket and $3,500 (2,900 euros) to do so, and those who remain will face arrest. Bona fide refugees are not included in this plan, which is meant for illegals who sought employment in Israel.